Four years ago today, Nigel and I were legally married. It was a very big deal then, and it still is now, though we probably take it for granted as much as any other married couple does after four years. But, then, by the time we were married, we’d been together for some 17 years—nearly eighteen. That’s a long engagement! That wasn’t our idea, of course, but despite the delay, we ended up getting an ordinary life. This particular event is kind of odd in some ways. Marriage came along after we’d been together 17 years—just under 18 years. We’d also had a civil union in 2009 because it was the only formal recognition open to us at the time, though that was also a great day. So when we were actually married in 2013, it changed everything, but it also came sort of the last step. And, of course, it also added yet another anniversary to my Season of Anniversaries. 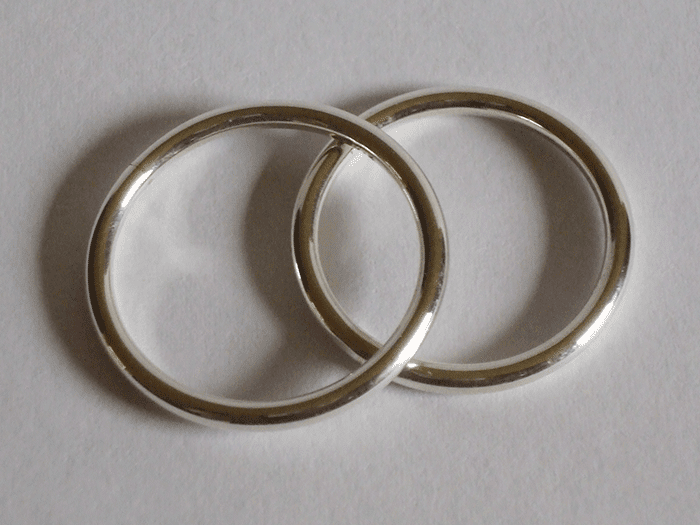 The thing is, it didn’t change anything in the way we lived our daily lives, but it added layers of protection that had been missing, even with the civil union. The important thing, though, was that it made us the true equals of our heterosexual friends and family, and that matters far more than, perhaps, heterosexuals can understand. Today was just an ordinary day: Work, and some projects at home. Then, dinner, some TV, and then sleep to get up and do it all over again tomorrow. Because that was really the point of marriage, wasn’t it? To have a perfectly ordinary life, just like everyone else’s. Any of us may end up doing extraordinary things, or not, but it’s always built on the common, shared base of ordinariness. Four years ago today, we achieved the ordinariness that our heterosexual friends and family always took for granted. And that still matters. But, to me, it doesn’t matter nearly as much as the fact that I’ve spent another year married to the person I love most in this world. And that is what the whole long wait and the struggle was all about. Like I always say, love always wins in the end—always. We had no trick or treaters this year, and for the first time ever, we didn’t have to dread the fact we might. We didn’t put out the balloon the local realtor gave everyone, and neither did our next door neighbour, so no kids came anywhere near our house. The dogs didn’t even know anything was going on. Of course, I don’t know whether any kids were anywhere near our house, anyway: The are other areas with more densely packed houses. At our last house, we didn’t get trick or treaters very often because we were one of a group of houses down a very long drive, out of view of the watchful parents tailing their kids from a short but discreet distance. But we had no way to signal we weren’t doing Halloween short of closing the drapes and locking the dogs inside the house. This year was much better. The truth is, I don’t like Halloween, as I’m sure I must’ve said before on this blog. I wasn’t really all that keen as a kid, and was over it before my voice changed. In the years since, I’ve grown to pretty much loathe it, and the pressure to enjoy it, to come up with a brilliant costume, and even the uncertainty of how much candy to buy. This was the first year in many, many years that I didn’t have to worry about any of that. So, we didn’t have any Halloween tonight, and that was by choice. And, because of all that, it was a good night. It’s been funny to watch the contortions in the USA over the indictments of some of the inner circle of the current occupant of the White House. The Left is gleeful and expecting the imminent demise of the current regime, and the Right is utterly dismissive and attempting to distract and deflect. The Left is over-selling, and the Right is underestimating. The indictments do not, by themselves, mean the end of the current regime is imminent. While this could eventually lead to that, there are so many incalculable variables that it’s impossible to conclude that as the inevitable result. Democrats—and mainstream Republicans who also loathe the current occupant of the White House—need to forget about the indictments for now, and concentrate on one thing: Ensuring Democrats take control of Congress with a veto-proof majority in the 2018 elections because that will be the only sure way to stop the current occupant. On the other hand, these indictments aren’t “nothing”—they’re a very big something, actually. Also, just because the current indictments are only partly, even tangentially, related to Russia’s attempts to influence the 2016 US elections, and the collusion of the Republican presidential campaign in that effort, that doesn’t mean that later indictments won’t drive a stake into the heart of that monster, to use a Halloween metaphor. The current regime should be very worried about what is coming next, because this is absolutely not the end, but just a beginning. So, if the indictments aren’t nothing, but also aren’t the big something, what exactly are they? They’re a start. It looks like things will become a much, much bigger deal before this all plays out, and where it will all lead, how this will affect the current regime, are impossible to know—but, personally, I’m still not ruling out the resignation I always thought was the most likely way the current occupant would leave office. Patience, as ever, is a virture, and something we all need to have. Related: In a series of Tweets, Seth Abramson looked at the current situation and shares his views on the implications. Yesterday was a big day, and one of unexpected discovery, too. And it was all because certain things that needed doing again. It also paved the way for more adventures. And all of it was just ordinary life. I took my car to get a Warrant of Fitness, a legally required annual safety inspection. For most o the years I’ve been in New Zealand, we’ve taken our cars to the VTNZ location in Glenfield on Auckland’s North Shore (and I shared a photo on Instagram last year). This year, the nearest loctions meant a choice between two places, each about 25 minutes (more or less) from our house, so I chose Pukekohe because I had some shopping to do there. As I said in the description for the photo above, it was quite different. At the North Shore location, there were (from memory…) several lanes for cars, one for trailers, and one or two for trucks. At Pukekohe, there was one lane for cars with or without trailers, and two or three for trucks. Clearly it’s a much more industrial area than Glenfield is. It was also very busy. Another thing surprised me when I was there: There were a large number of fairly young teenage guys, often there with someone I assumed was their parent. I thought that was odd, until I remembered that VTNZ locations now process driver licences, too, something they didn’t used to do. So, I was used to seeing older people at VTNZ, and working people bringing their commercial vehicles in for inspection, and that made the young guys look out of place. In a few years I won’t even notice them anymore. Everything is also far more automated now. You give the clerk your car’s registration (licence plate) number, and they prepare a form that the inspector fills out (it may be electronic, for all I know—I didn’t actually see them do the inspection). In the old days, they filled out a carbonless form by hand and gave it to the driver who would go outside and place it on the driver’s seat in their car. Much more efficient. Busy as they were, it no longer than it used to at the Glenfield facility. After that, I went shopping for supplies for a couple different projects I’ll blog about later, stopped at the grocery store, then headed home, arriving back just after Nigel. Like I said, just ordinary life. But since I learned things yesterday, I’ll share something here I didn’t share on Instagram: That photo above is of a decal on the floor showing customers where to stand (which is why the front of it is worn). There were several of them around the L-shaped counter. There, now you know something you didn’t before, too. The video above probably won’t last long, for a lot of reasons, but I’m sharing it anyway because it’s really well done, and pretty funny. It also shows what I’d like to see happen, even though I obviously know it won’t happen like that for most of the people they include. But maybe that makes it just a little bit funnier—the improbability of it all. I’m sure rightwingers have similar videos all their own for the people they don’t like—I’m just not likely to ever see them. While I’d like to see any of these folks indicted, tried, convicted, and imprisoned, I’m not sure that all of that is going to happen to any of them. While the pundits seem to agree that the mostly likely person to be indicted will be Manafort or Flynn, I’d like to see it be someone much closer to the current occupant of the White House. Among other things, that could encourage people to make a plea bargain so the current occupant can ultimately be prosecuted and/or impeached and removed from office. But, right now, that, too, is more of a fantasy of the sort depicted in the video. Footnote: The YouTube description says: “Video is a play on the Daredevil Season 1 ending montage.” I didn’t know what it came from. There are some things on Facebook that can only be shared on Facebook, and the post above is an example of that. In this particular case, it’s sharing something created by someone else, someone who doesn’t license their content to be shared any other way. And that means that the only way to share it on this blog is by embedding the Facebook post, which is ironic considering that the cartoon is criticising the closed nature of Facebook. Over the years I’ve frequently run across things that can’t be shared. Sometimes YouTube videos have embedding disallowed, thought that’s pretty rare. There also some sites that say they forbid linking to their site without express permission, which is a holdover form the earliest days of the Web in which people believed that someone linking to them implied an endorsement of whoever was linking to them. I’m not aware of any modern sites that are so silly, but there may be some. But then there’s another barrier: The content has rights restrictions. Usually this means the content is under copyright, but with no permissions for reuse granted. The Facebook post included a cartoon that falls into that category. The site for the cartoonist has a notice at the very bottom: “All artwork and content on this site is Copyright © 2016 Matthew Inman. Please don't steal.” Without any explicit permission, either on the site or from the artist, it’s not possible to re-publish a cartoon legally. That means that, subject to the terms of the Creative Commons license, someone can republish most, but not all, of the original content on this blog. But without such a license, no one could legally do so without getting my specific permission. A publisher once did that for a photo I posted on Flicr (I didn’t receive any payment for the reuse, by the way, just a photo credit). So, the only way I could share an Oatmeal cartoon is to share it on Facebook and then embed that post here, or, I could probably embed the Oatmeal Facebook post directly, then use the text I wrote for a blog post here—all of which is far too complicated, particularly since the goal is “create once, publish everywhere”. This is incredibly ironic because the cartoon is about how Facebook invited people to share content on Facebook, then started taking away the ability for people to promote their content—unless they pay to do so. I’m constantly seeing promotional messages from Facebook urging me to, to cite a recent example, “Boost this post for $7 to reach up to 1,200 people.” I’ve never paid, mostly because I don’t have a budget for that (among other reasons), and I also know that some people claim it doesn’t actually get them any/many more views if than if they didn’t pay. So, the Oatmeal’s content was easily accessible on the website, but not reusable, while on Facebook it’s reusable, but unlikely to come to my attention. How on earth is that any better for the cartoonist? This is part of a large and growing problem: Getting content seen on Facebook. Although more and more companies and people are using Facebook to publish original content, as I talked about last August, it’s getting harder and harder to get that content seen. I’ve seen some people complaining that when they shared a link to a blog post on some relevant groups they belonged to, they were temporarily suspended by Facebook for “spamming”. Which means that buying ads is at least sometimes the only way that Facebook allows people to promote their own content. It should concern us all that more and more stuff is available only on Facebook—everything from videos to what are essentially blog posts to livestreams. For example, yesterday’s signing in of the new New Zealand government ONLY shown live on Facebook. That’s not right—or a good idea. The problem isn’t just that the content is enclosed within Fortress Facebook, it’s that they set the conditions under which even people who have indicated they WANT to see the content will actually do so. It’s one thing if I don’t see the latest video from Vox, or even a post from a friend, but when I don’t even know that actually important posts exist, that can be a real problem. I think content creators need to be more agnostic about where they publish content. Facebook is great, up to a point, but if they do a Facebook video, they should also post it to YouTube (or wherever). Posts created for a Facebook Page should also be published or shared on the corresponding blog (or whatever). And nothing should be published on Facebook alone. For me, this isn’t about money OR exposure. I have no budget for promotion, and I don’t seriously expect to have millions of readers no matter what I do (or don't). The issue here is one of controlling access to information, and the freedom to do so easily. Sometimes a simple cartoon can lead in very unexpected directions. The (long…) Facebook video above is of the swearing in of the new Prime Minister and cabinet. It’s from the Facebook Page of the Governor-General of New Zealand. It turns out, that was the only place to watch the swearing in live, since no broadcast media carried it live, though that has happened in the past. This isn’t a good substitute for general availability, but it’s better than nothing. The video is over an hour long, and begins with the new ministers being introduced to the Governor-General. She signs the Royal Warrant, designating Jacinda Ardern as New Zealand’s fortieth Prime Minister at a little before 13 minutes. After that is the signing of the warrants for other ministers, and then Prime Minister Ardern makes her Affirmation of Allegience at about 20 minutes in, followed by the other ministers making their own oaths or affirmations. There were a few things about all this that struck me the most. First, one of the Prime Minister’s special guests was one of her high school teachers, now a principal at a different school. He had inspired her, and she wanted to acknowledge that in a very public way. Aside from being a great gesture, it was an indication of how this new government will once again make education a priority, and will work with teachers, not against them. As I watched the livestream, I saw some people moaning about ministers making their oath or affirmation in Te Reo Māori. However, New Zealand has three official languages: English, Te Reo, and NZ Sign Language, and MPs and ministers alike have the right to make their oath or affirmation in any one of those three official languages. The people moaning about it really need to get over themselves. Most the first ministers who first stated their allegiance made an Affirmation of Allegiance, which led one watcher to ask if they were all atheists. Of course they’re not. There are many reasons why someone would NOT take an oath swearing on a Judeo-Christian Bible and to the Judeo-Christian god, and, ironically, religious reasons is actually one reason why someone might choose the affirmation rather than the oath. Another reason is that someone who is religious may nevertheless object to a Judeo-Christian relgious-based oath in what is officially a non-denominational country. And, then, some probably are atheist or agnostic, not that it matters in New Zealand. The video below is a description of what happened when the Prime Minister returned to Parliament after the swearing in, and the video below that is of John Campbell interviewing Jacinda Ardern on her way to Government House to be sworn in. This was a day of pomp and ceremony, just as the opening of the new Parliament will be. But it represents the one thing that all democracies have in common, regardless of their structure: The peaceful transfer of power from one political grouping to another. No armies, no weapons, no violence or bloodshed in the streets, just very formal and pretty archaic ceremonies to mark the change. I love democracy. Now, it’s time to get busy. The photo above is of a flyer delivered to our letterbox a couple days ago. The Instagram caption pretty well describes it, and it is a much smarter approach toward Halloween than we usually see in New Zealand. It’s a good thing. Halloween isn’t that big a deal in New Zealand, but Trick or Treating is even less of a thing here though much more controversial. Many people do, indeed, object to it as a “creeping Americanism”, but I’ve also seen people object for what I think is a bizarre reason: They think it teaches kids to “beg”, or even to expect something for nothing (apparently, dressing in costume isn’t something?). Most people are probably just indifferent to Trick or Treating (they’re Kiwis, after all…), while some people love it and others truly hate it. Years ago, I thought the answer would be some sort of sign that people could put up to welcome Trick or Treaters. I worked for newspapers at the time, and I thought the obvious solution was for the local paper to sell ads around sign printed vertically on a page, or horizontally across the centre-spread (if there were enough ads sold). I’m not aware of any papers actually doing that, though maybe it happened. The closest I saw to the sort of thing I was talking about was way back in 2009 when the NZ Police created some posters that people could download, print out, and put on their house or front gate to let kids know if trick or treaters were welcome or not. But no business or newspaper anywhere around me saw the opportunity I did. A local real estate company delivered the flyer with the balloon, and as I was basically saying in the photo caption, it will build goodwill for them. Sure, this thing was really just a form of advertising, but also an incredibly useful thing. Kind of a win/win, I’d say. The idea of having an indicator—of any kind—that a house welcomes trick or treaters is a good thing. But I also think that a simple indicator—like a balloon, or a sign of welcome—is best because it keeps the message clear and easy to understand. That’s why the posters from the police, well-intentioned though they were, didn’t work: People had to choose which sign they wanted, and trick or treaters had to actually look at the sign to see which it was. A balloon is MUCH simpler. I don’t know whether trick or treating is a “thing” in our new area or not. I also don’t know if we’ll use the balloon or not (I’m guessing not). But at least we have a simple, easy to use and understand symbol to convey the message if we want to, all because a local business took the initiative. And that is good advertising. New Zealand’s new government is taking its final form. The Coalition Agreement was signed yesterday between the New Zealand Labour Party and New Zealand First, and the Confidence and Supply Agreement was signed between Labour the Green Party of Aotearoa New Zealand. Today, the assignment of ministers was announced, and tomorrow the new government will be sworn in. And then it will all be official: The new government will be up and running. 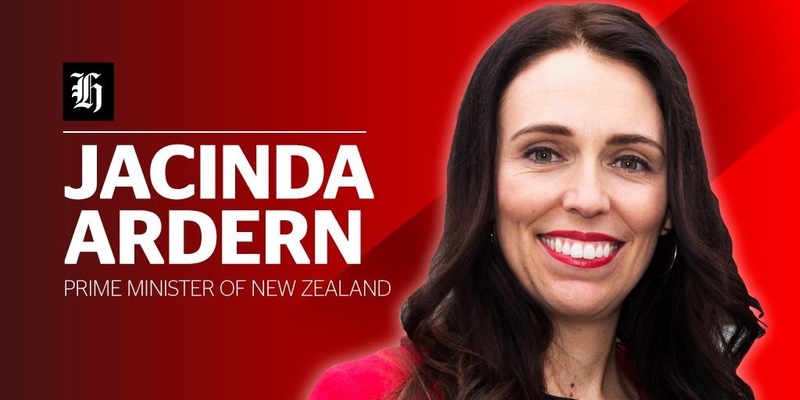 New Prime Minister Jacinda Ardern will, as she stated early on, keep Arts Culture and Heritage and a role in children’s issues. Specifically, she’ll take on the specific role of Child Poverty Reduction. 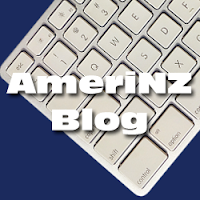 Winston Peters will be Deputy Prime Minister, as he was in the 1996 Labour Government, and he’ll also be Minister of Foreign Affairs, as he was in the previous Labour-led Government, back in 2005. The rest of the announced portfolios are strong and good choices, in my opinion, and many of them are grouped so that ministries with similar missions will have the same minister. Very smart. Tomorrow the show really begins, though, as the new Government is sworn in, and we finally have a new government. All bloggers probably produce more stuff than they actually publish. Much of that never sees daylight, sometimes it could be resurrected in another form, and sometimes it turns up in another place. The post above ins an example of the latter. The AmeriNZ Facebook Page is filled mainly with two kinds of content: First, notices and links to things I’ve posted elsewhere—blog posts, podcast episodes, videos. Second, I share other people’s Facebook posts, or things (like articles) that I think are interesting. These have some sort of brief text talking about whatever I’m sharing, and usually not much more (not counting comments). The Facebook post above, however, is an example of unique content I post only to the Facebook Page. As I mentioned a couple months ago, there are good reasons for posting unique content to a Facebook Page, but I’m still not in the habit of sharing those posts here. Be that as it may, this post originated because when I first heard the news report I really did think “WTF? !” and when I found out what the real story was, I decided to share it. It could have been a blog post, yes, but at the time I was very busy and a bit under the weather, so that didn’t happen. I’m starting to come right now, and that means I should be able to resume blogging. For now, this post is an example of what I got up to while I was away. New Zealand is getting a new government! Tonight Winston Peters announced he was going into formal coalition with the New Zealand Labour Party. His party will get some minsterial positions in Cabinet. The Green Party will have a confidence and supply agreement with Labour, and will have four ministers outside of cabinet, plus an undersecretary. This will be the first time the Green Party will have had MPs serving as government ministers. The announcement came late this evening, and the reactions of the other leaders were later still. I decided to try and find the videos of all the main leaders, but couldn’t find two of them. It’s getting late, and I was actually feeling a little under the weather this evening. So, tomorrow I’ll talk in more detail about all of this. For now, I’ll share the first two party leaders to speak to the newsmedia, Winston Peters making his announcement, and also Prime Minister-elect Jacinda Ardern acknowledging that. Both videos are cued to the start of their remarks, which are followed by questions from the newsmedia. If I can find the other two—Caretaker Prime Minister Bill English and Green Party Leader James Shaw, I’ll share them tomorrow. Regardless, I’ll go into more detail about this and what I make of it all. However, right now I will say that I’m very pleased with this arrangement, and it can mean great things for New Zealand. The graphic up top was posted to Twitter by the New Zealand Herald, and linked to their story on the events tonight. If yesterday’s Instagram photo was necessary because of total cuteness, then today’s photos (above and below) were, too, and because they’re unsual. 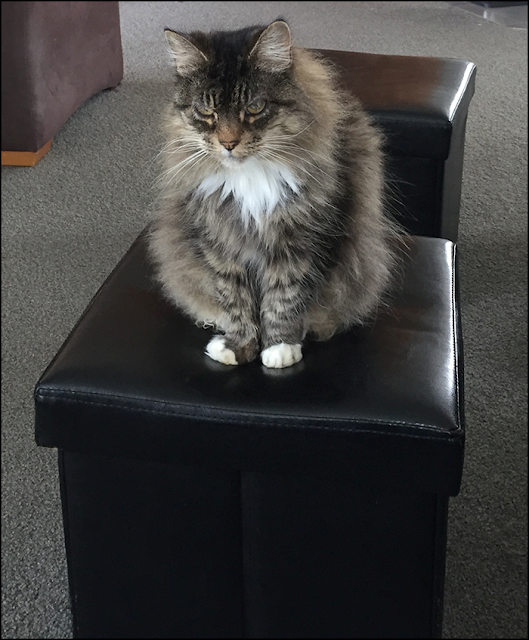 Ordinarily, Jake doesn’t jump into my lap, at least, not very often, and Sunny seldom jumps up on the sofa. Naturally, there’s a reason they did today. Over the weekend, Nigel and I gave the dogs haircuts. I’ve said before how very delayed they were: They were due about the time we were busy getting ready to move, and then afterward we were busy settling in. Then, cooler weather and winter arrived. The dogs got shaggier and shaggier. They often get a shearing in the Spring, and I’ve shared photos of that before. The way it goes is that both of them are very clingy, especially at night, for a couple days or so afterward until they adjust. In the meantime, Sunny mostly gets on with things, but Jake looks as if he feels a bit sorry for himself. Since their shearing, Sunny has jumped up on the sofa in the lounge and rumpus room, which is unusual for her. Jake has spent a lot of time curled in a little ball in the master bedroom, the warmest room. But when I sat down to watch the midday news, he decided to jump into my lap—because it’s warmer? He needed cuddles? I don’t know, but Bella was a bit surprised to see him there when she later jumped up, too, something she usually does when I sit down. So, all of this was unusual—and cute—enough to post a photo to Instagram, but the one of Sunny was, if I’m honest, more of an “equal time” sort of thing, since she was out of the shot of Jake and Bella. There actually have been times that all three of them have been on my lap at once, which wasn’t terribly comfortable for anyone, and so, they lasted only a short while. The scenes in the photos changed a few minutes later when Jake and Sunny heard a noise outside—maybe a neighbour—and jumped down to go to the window and bark. Bella was probably relieved. And that really is a slice of life in my New Zealand. New Zealand may be about to have its next government announced—maybe. More or less. New Zealand First leader Winston Peters is probably going to announce the direction he’s going tomorrow (afternoon?). Even so, we may not know exactly what shape the government will take, with issues like who gets what portfolio to be determined. We didn’t know any of that at the time I posted the Tweet above. It’s little sarcastic, but also true: We’re all waiting on Winston to tell us what government we’ll have. There are plenty of people from all over the political spectrum who aren’t happy about that, but, then, wrapped up in nostalgia for the old First Past The Post electoral system, they wouldn’t be happy no matter who was in the driver’s seat in coalition negotiations. The thing is, this isn’t the first time we’ve been here, thinking Winston was about to announce his choice, only to find out there was some sort of delay. I’ve delayed recording podcast episodes every day this week so far because every day I thought the announcement was imminent, or it’d be the next day, making the episode instantly out of date. I wanted to wait until there was an actual answer. Whenever the decision is made, I’ll have quite a lot to say about it, regardless of which government Winston chooses. But, for now, I’m content to wait it out. One last thing, though. When I watched the TVNZ’s One News at 6pm tonight, the opening teaser used the phrase I Tweeted this afternoon, saying “…the Winston Watch continues…”, and I Tweeted about that, too. Feel. My. Power. As the Instagram caption says, this was the view I woke up to this morning. I vaguely remember Bella crawling around my pillow before dawn, but I wasn’t aware that she’d settled down right next to me until I woke up. Fortunately, she was deeply asleep and didn’t hear me reach over for my phone, nor did the flash wake her up. When I was a kid—maybe nine or ten—I had a cat named Ed that used to sleep in unusual poses. My mother joked that “come see how Ed is sleeping now!” was the major family entertainment. I suppose for a time it was. Bella isn’t quite that entertaining, but she picks unusual sleeping positions and places often enough for me to post several photos to Instagram, and then share them here, too. I like the way that furbabies can draw our attention and amuse us and even just make us go, “awwwwww!” Sometimes, they’re the only thing that can take our minds off the awful things going on in the world. It’s good to let them do that, I think. Episode 125 of the 2Political Podcast is now available from the podcast website. There, you can listen, download or subscribe to the podcast, or leave comments on the episode. The five most recent episodes are also listed with links in the right sidebar of this blog. While New Zealand continues to wait for Winston Peters and his New Zealand First party to tell us what our government will be, there’s some time to have a look at something minor from the election, something so small that it didn’t even get a mention in the mainstream press, even though it’s good news. The good news is that, once again, religious extremism failed to gain any traction in New Zealand elections. In my own electorate, a guy, Ian Cummings, ran as an independent candidate and lost badly—very badly. This is good news because he was a rightwing Christian (among other things…) and he put his religious beliefs at the centre of his campaign, without being totally transparent that it was the main focus of his campaign. I’d seen his ads in the paper, where he talked about being a “family man”, which I thought was a dog whistle to social conservatives, especially because he also touted his being on the Board of Trustees for a Christian school as being a qualification for being a Member of Parliament. Turns out, I was correct. All of his materials, and his speech at the meeting, stressed that he was opposed to abortion and euthanasia, even though no bills to reform abortion law or to allow assisted suicide (not euthanasia) are likely to come before Parliament any time soon. For most things, it was necessary to use a little intuition to hear his dog whistles and what he was actually trying to say. Under a section on his flyer called “Family” he said that he was for “reducing government interference in the rights and decision making of parents”, though it didn’t explain what all that was supposed to mean. Given his overt religiosity, he probably meant things like repealing the anti-smacking legislation, and maybe allowing parents to put their kids through “ex-gay” torture programmes (which may be legal in New Zealand, anyway). That’s what other supposedly “Christian” candidates usually want. Another point was “insisting educators teach our children how to think not what to think”. This dog whistle probably meant that schools couldn’t teach tolerance and acceptance of, among other things, LGBT students. That’s been a big issue among rightwing Christians in Australia, and, to a lesser extent, here in New Zealand. Finally, he also had “protecting our borders from immigrants that are aligned with radical religious idealism”. This had to mean keeping Muslims out. I draw that conclusion not just from what such a dog whistle has meant elsewhere, but also from his refusal at that candidate meeting to explain what it meant or to deny that he wants only Christians to migrate to New Zealand. That was under “Family” because the other two areas were headline “Life”, which only mentioned abortion and euthanasia, and “Property”, which was a mishmash of unfocused populist slogans vaguely relating to property. When he said at that meeting that he "doesn't like evolution", I knew he had odd viewpoints, and his answers that night reinforced that view. I wasn’t worried about him though, precisely because he was an independent: Under our system, the only way an independent MP can have any influence over a government is if the government needs their vote to form a majority in Parliament. Otherwise, they’re like the crank who shows up at a community meeting to whine about grass in the park being 1cm too long: They have a viewpoint, sometimes even a point, but they have absolutely no way to actually get the policy they care about enacted and no one really listens to them. The voters in this electorate felt the same way about him: According to the final results, he came in fifth out of six candidates, receiving a mere 710 votes out of 40,270 valid candidate votes cast. The only candidate who did worse than he did was the guy from the Act “Party” who was only on the ballot so that he could attend candidate meetings to ask for a Party Vote for Act. As far as I know, he had no campaign signs or materials of his own, unlike Cummings, who paid to have NZ Post deliver his flyer at least twice, advertised in the local papers (and in premium positions), and apparently had at least some signs. Money totally wasted, that was. I’d be very surprised if he spent less than $10 for every vote he received; he probably spent considerably more. As I’ve said many times, overtly religious candidates, in this case meaning fundamentalist Christians, never do well in New Zealand, and no overtly “Christian” party has ever won any seats in Parliament since MMP began in 1996. There’s still no indiction whatsoever that this will change. I realise that I’m utterly dismissive of the religious guy, but that’s actually because he clearly had no clue how Parliament works and what an MP’s job includes. That’s fundamental, so to speak, for anyone seeking the job, and not understanding it is unforgivable. The fact that he didn’t know how to campaign is kind of irrelevant, because there were other candidates who didn’t do a good job, either (as I mentioned in talking about that candidate meeting). Even his religious agenda and ideology wasn’t an issue per se; rather, it was his attempts to hide it under a bushel in order to deceive the vast majority of voters who don’t share his religious views—or political views, for that matter. Still, what he did say made it pretty clear that his one-note tune wasn’t one the voters of this electorate wanted to hear. So, this very minor story had a good ending. It happens sometimes. Most of these Weekend Diversion posts about music have been about songs, artists, that sort of thing. But the way pop music is made and has evolved is interesting, too, and the Internet helps to explore that. The video above from Vox is the latest in their “Earworm” series. This particular one talks about repetition, and how it’s everywhere in modern pop music. Basically, it’s because we find repetition interesting—though the video doesn’t really explain why we find it interesting. Maybe we just do. In any case, repetition is used a lot in pop music, and that certainly can’t be by accident. I know that I think repetition is interesting when it goes beyond merely repeating the hook of the song, although that can be good, too. I like repetition of structure, and also mirroring, which I realise is different. But enough about that—I don’t want to start repeating myself. The other video, below, is of a TED Talk from some three years ago. Coincidentally, I just saw it this week when it popped up in the “Up Next” list of videos on the righthand side of YouTube. I’m not entirely sure why it was there—it’s totally different in subject matter from the other videos I’d been watching lately—but I’m glad I saw it. The video explains, as the YouTube Description puts it, how sampling “isn't about ‘hijacking nostalgia wholesale,’ … it’s about inserting yourself into the narrative of a song while also pushing that story forward.” Put another way, sampling is a way of not only creating new works, it’s about building on what’s gone before. The fact that music corporations want to prevent sampling unless huge licensing fees are paid, something not mentioned in the video, means that the opportunities for this sort of creative work can be very limited, especially for new artists. The way pop music is made and has evolved is interesting. Taken together, these two videos help explain some of what goes into pop music creation, why things sound the way they do, and the creative process behind it all. For me, this will add another layer of appreciation when I hear a new pop song, along with the continuing wish I had musical ability. Mainly, though, I always think finding out the detailed story behind things is interesting. No one can agree with everyone else all the time, and maybe not even much of the time. While standing outside the mob of agreement, particularly on social media, is often praised, it isn’t automatically a good thing or a bad thing—it’s just a thing. But it can be a weird thing, that social opinion dissonance, especially when it’s in two directions at once. Like most people, I often see things differently from the majority of those on either the Right or the Left, depending on the thing people are being opinionated about and what direction the pack leans. But lately I’ve had the weird experience of seeing things differently than both the Left and the Right—at the same time. 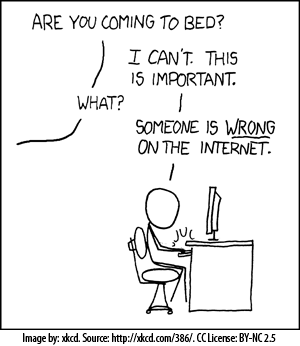 There’s no particular issue where this is the case, nor any particular position on an issue or news story. Instead, this happens intermittently, though with increasing frequency, and it’s often mostly to do with conclusions drawn. One thing I place high value on is factual accuracy: It’s important to lay out all the facts on an issue, and then draw conclusions from the available evidence. Yet both the Right and the Left will take facts and draw the most absolutist/extreme conclusion, apparently to maximise political effect. This may rile up the True Believers, but it does nothing to win over the folks who aren’t already partisans (in the broadest sense—this is not necessarily about supporters of a particular political party). The bigger issue is that it’s impossible to have a rational discussion, let alone debate, when one side is turning to absolutist language as their opening salvo. When absolutist rhetoric is introduced within a debate, it poisons it, but when it’s used at the very start, it strangles the infant debate before it can even breathe any life. On top of that, when the hordes descend on anyone who doesn’t immediately nod in vigorous agreement with the pack’s preferred position, it prevents not just discussion and debate of the opinions the pack holds, but also the possibility of questioning the very assumptions on which those opinions are based. Nothing is learned or gained. This isn’t new behaviour, but it’s been made more common by the increasing use of social media to discuss the issues of the day. Sure, people do sometimes seem to go out of their way to be awful to other people when they dare to express a different opinion, but this is a different sort of partisanship, more tribal. Lock-step agreement on assumptions about an issue is the new test for loyalty to one’s tribe, Left or Right. On the other hand, sometimes standing apart from the crowd—one’s tribe in particular—can be just as dickish behaviour as that of those who attack dissidents for being dissidents. The question is, though, even if that’s true, what do we gain when people can’t even dare to challenge the assumptions underlying their tribe’s preferred position on something, regardless of their reasons for doing so? After all, people can have any number of reasons for questioning and/or challenging those assumptions, and what their reasons are is kind of irrelevant, really. No one can agree with everyone else all the time, and maybe not even much of the time. Social opinion dissonance is perfectly okay, even when it’s in two directions at once. We need to learn that simple fact. 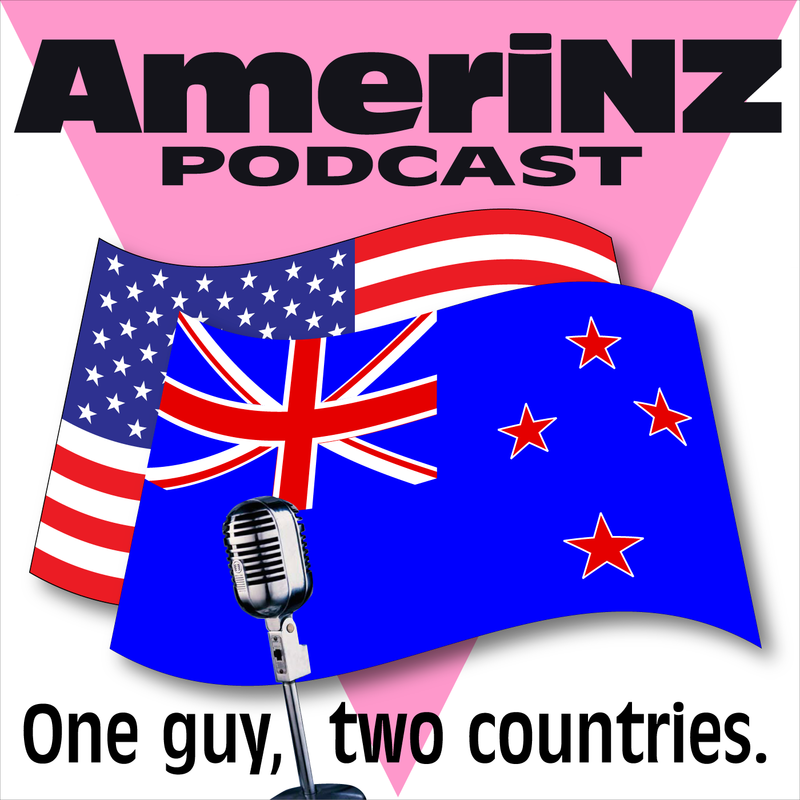 A new AmeriNZ Podcast episode, “AmeriNZ 336 – Still waiting” is now available from the podcast website. There, you can listen, download or subscribe to the podcast. The five most recent episodes of the podcast are listed on the sidebar on the right side of this blog. The photo above really is about what the Instagram says it’s about. And yet, as is so often the case with my photos, there’s more to it than that. Good thing I’m a blogger and can add to the story—again. This was actually the last of a series of photos I was taking in my office late this afternoon. I’m not a huge fan of selfies of myself unless they’re part of a story, not just a “here I am!” sort of thing (even I can make exceptions, of course). Bella came along at the end and saved me—well, the photo, actually. I have a couple where she’s looking at the camera, but in those shots I was leaning back and that meant the photo was basically looking up my nostrils. Not ideal. This pose was good for both of us, I thought. This all began with a totally separate motive: To test lighting. I’ve long had plans to make videos with me sitting in that very spot, and I wanted to test a few lighting options (other photos had different options). The one I used had light coming in my window, and while it was reflected off the neighbour’s house, it was still too intense. The softer light is from a lamp on my desk with a daylight bulb. I wanted to compare them, and found that the daylight is too harsh and cold, the colour of the lamp light is too warm compared to the natural light. I’ll use this experiment to refine the lighting down the road. I’m also going to set aside an area in front of the window for close-up photography of objects, the sort of thing I’ve done for this blog for many, many years, but never had one particular neutral place to use consistently, somewhere inside, away from weather, and where I can set up lights when that’s needed. Today’s experiments will help with planning modifications to the window to moderate the light when necessary. I also needed to dye my hair/whiskers, and didn’t really want a photo of myself while that was the case. This morning I took care of that problem, and everything else just flowed from there. So, this didn’t start out as a selfie (I was dubious I’d find a photo I’d be willing to share)—it was just a lighting experiment. Bella changed that, providing a reason to do a selfie, and the rest is as described in the caption. The best laid plans of mice and men are often derailed by cats, I guess. 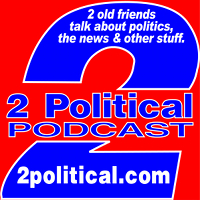 Episode 124 of the 2Political Podcast is now available from the podcast website. There, you can listen, download or subscribe to the podcast, or leave comments on the episode. The five most recent episodes are also listed with links in the right sidebar of this blog. This isn’t now a regular feature on this blog, unless it becomes one, but advertising and pop music both interest me, and how and where they're combined does, too. The ad above is just another example of that. The ad is for Oceania Healthcare, a provider of “Rest Home, Hospital, Dementia, Respite and Palliative/End of Life Care, as well as Independent Retirement Village living, at 48 New Zealand locations.” It’s a cute ad, and does a good job of portraying compassionate and creative approaches to caring for seniors. The YouTube description says, “This ad was based on a true story that took place at one of our rest homes.” That’s nice to know—and I did wonder—but, to be honest, it was the song that made me pay attention. “Magic Moments” is a song by Burt Bacharach and Hal David and recorded by Perry Como in 1957 [LISTEN], for whom it was a hit. The version in the ad uses the same basic structure and arrangement as Como’s hit, but with a different vocalist. The song was also recorded by Amanda Lear in 1985 and Erasure in 1997 [LISTEN], among others. I’ve never heard Lear’s cover, but I have Erasure’s on CD. Much as I love Erasure, I was never all that keen on their cover. Actually, I was never much of a fan of Como back in the day, but in more recent years I’ve come to appreciate some of the old singers who were hopelessly old fashioned when I was a young adult, people like Doris Day, Steve Lawrence and Eydie Gorme, Frank Sinatra, etc. Maybe it’s an age thing. In any case, I kind of like the old-time songs now, even if I rolled my eyes at them decades ago. This time, the song in a commercial was one I knew, so I didn’t need to search it out. It may even have been the familiarity of the song that made me pay attention to it, but the clever use of a thematically appropriate snippet of it in the commercial was particularly well done, I thought—so much so I wasn’t even aware that the commercial has been running for up to six months. I guess familiarity doesn’t always breed contempt. Still, maybe one of these days I should talk about an ad/song combo that just doesn’t work. It’s not like there’s a shortage of examples, after all. The video above is a short (31:48) Yahoo! documentary, “64 hours in October: How one weekend blew up the rules of American politics”, about a few days of news back in October 2016 and how they unfolded. On the face of it, this shows how those days were typical of the way things happened in the 2016 US elections—the breakneck speed, that nothing much influenced voter attitudes, how bizarre and abnormal the news cycle was. And yet, there are also so many unanswered questions, even now. In hindsight, the “Access Hollywood” video seems the most problematic, and as I watched the documentary I began to feel we’d all been played. Who leaked the video and why? Coming right after the US Government publicly accused the Russian Government of trying to influence the US election, the timing of the leak about the man who became US President and his bragging about sexual assault seems, well, awfully convenient. The question is, for whom? Certainly the Russian Government would’ve wanted to change the subject very quickly, and they’d know how eagerly the US newsmedia would eat up the revelations about the Republican nominee and his foul language and terrible attitude toward women. But how could they know that it wouldn’t destroy their chosen candidate’s campaign? The other folks who stood to gain were running the Republican campaign itself. Although they deny any involvement in the leak, it gave them the opportunity to do their little stunt with women who accuse Bill Clinton of having allegedly committed inappropriate sexual behaviour with them, and also to try and paint Hillary Clinton as some sort of “bully” who, they said, “went after” the accusers. That changed the subject again, and it played directly to his fervent base. Moreover, the Republican campaign would have known that the accusations agains their candidate would have no affect whatsoever on those core supporters, and probably wouldn’t affect anyone who wasn’t already against the Republican nominee, at least, not in the long run, especially if they could distract people, as they did with their stunt with the accusers. Their goal was to keep their base riled up and to discourage voting by people who didn’t support the Republican nominee, but who also weren’t enthusiastic about voting for Hillary Clinton. But what if there was actual collusion between the Russians and the Republican nominee’s campaign? We know there were an awful lot of high-level contacts between them, and we know there was at least some advance notice that the Russians were about to use Wikileaks to release emails they’d stolen. Could that collusion have been deeper and far more serious? The Russian Government’s 2016 attack on the USA was just a test run. Because they were so successful we can be sure that if they’re not investigated and stopped, they’ll be back at it in 2018 and 2020, and probably with similar results. The current regime in the White House has not only displayed a total lack of any curiosity in what the Russians did and how, they continue to deny it even happened. Why? It’s constantly alleged that the man elected president in 2016 allegedly has many financial ties to Russia, and so allegedly has a personal vested interest in deflecting and denying anything to do with the Russian attack on the USA, or that it even happened. If the allegations are proven true, though, that wouldn’t explain the collusion of many of the others—what did they stand to gain? If the Republican nominee, whoever he is, wins the 2020 US presidential election, none of this will ever be investigated. It probably won’t be if Republicans retain control of Congress in the 2018 elections. All of which leads one to wonder: Aside from protecting their 2016 presidential candidate, is there anything else they’re trying to hide? These are all questions that won’t get investigated, much less answered, if Republicans remain in power. That leaves as the USA’s only hope the investigation of Robert Mueller. If he indicts senior figures in the Republican 2016 campaign, or from the regime installed on Inauguration Day, then some of the questions will be addressed in court at their trials—assuming, of course, that the man currently acting as president doesn’t pardon all the folks who criminally helped him get there. Still, this documentary can be taken at face value, as merely a fascinating look at October 7-9, 2016, and how those days were typical of the way things happened then. In fact, the article about it posted online does exactly that. But the documentary left me with far more questions than answers. I don’t expect that to change any time soon. Why do some people do evil things? Are they born evil, or become so later? The one thing we do know is that mental illness is not the cause. "The U.S. Department of Health and Human Services website states that the vast majority of people with mental health problems are no more likely than anyone else to be violent. Only three to five percent of violent acts can be attributed to people who have serious mental illnesses, the department website states. In fact, those with mental illnesses are also much more likely to be victims of violent crime." The article suggests that the Left uses mental illness in the gun debate out of ignorance, while the Right uses it to try and block any and all attempts at common-sense gun law reforms. I think they’re correct about both. The reality is that there are a whole bunch of reasons why some people do evil things, but, statistically, having a mental illness is unlikely to be one of them. In fact, people who have a mental illness being treated are probably least likely to do something like this, as opposed to, say, some guy who just had a fight with his girlfriend and "snaps". As trivial as a fight with a girlfriend may sound, the truth is that violent crime is often sparked by such petty things—can we really be so sure such petty things don’t play a role in evil acts? We simply don't know enough about why people do evil things like terrorism and mass murder, or even if some people are just plain evil—and, if so, whether they're born evil or made that way. Considering the wide range of differences in and among humans, isn’t it logical that some people actually might be born evil? However, we do know that mental illness of and by itself is not the cause of such heinous acts. It's obviously human nature to try to explain the unexplainable, and sometimes we try too hard to do so. As the investigation of the Las Vegas mass murder unfolds, we'll eventually find out more information to help us understand the why, but right now it truly doesn't matter. We should only think and care about the 58 people that guy murdered in cold blood, and the 527 he injured. THEY deserve our attention and our thoughts, not the monster who did it. I’d decided not to say anything about the shooting in Las Vegas. There’s nothing I can say—nothing I haven’t said many times before, and could easily say many times in the future. What’s the point? The one thing I know for certain is that nothing will change, and nothing can change. I can think of a very good reason nothing will ever change—actually, I can think of 3,533,294 good reasons. That’s the amount that the NRA alone spent since 1998 to buy members of Congress who are still in office, according to the Washington Post. 49 out of 100 US Senators have been paid by the NRA, and 258 of 495 US Representatives. This doesn’t count the money spent by other pro-gun lobby groups, either in support of gun lobby-backed candidates or in opposition to candidates who support common sense gun legislation—or both. And this is why no gun control legislation will get through Congress. Even if the US Congress suddenly found the consciences they lost or regained the souls they sold to the gun lobby and actually passed some reforms, the current occupant of the White House would veto them so he could brag about it at his next weekly campaign rally. And this is why no common sense gun control law will happen. Unless Americans vote out the gun lobby’s bought-and-paid-for employees in Congress, nothing can ever or will ever change. It’s really that simple—and difficult, because American voters don’t generally vote against incumbent US Representatives, almost without exception, and no matter how much they deserve to be made unemployed. So, there’s really no point in me talking about this. No one’s listening, no one’s actually doing anything that will actually change anything. Apparently, Americans are happy there’s a guaranteed right to own personal arsenal—but not a right to healthcare if you’re the victim of a mass shooting. There will be another mass shooting sooner rather than later, and we’ll again be ordered to not talk about gun control when that happens. Or after the one after that. Or the one after that. No matter how high the body count is, we can’t possibly discuss common sense gun law reform—it will always be “not the right time”. America, to put it as it is so commonly expressed these days, is totally fucked up. And that’s why I wasn’t going to say anything: It gets me too angry and despondent. Which is also why I needed to say something: I want the majority of Americans who want common sense gun legislation to prove me wrong. I want them to throw the bums out, to out fundraise the gun lobby, to take their country back from those who proudly profit from death and misery. But I really don’t think that will happen, so I probably won’t say anything after the next mass shooting. There’s nothing I can say—nothing I haven’t said many times before, and could easily say many times in the future.